Native American tribal perspectives on anthropology, archaeology, and research that didn't always have their best interest at heart. On today’s podcast we have Brandon Castle, a Senior in Fort Lewis College’s Anthropology Department, who has also worked at the Totem Heritage Center in Alaska, the Center of Southwest Studies in Colorado, the Field Museum of Natural History in Illinois, and the American Museum of Natural History in New York. He also discusses his work for Fort Lewis College’s Gender and Sexuality Resource Center. Brandon shares ideas on improving representation, intersectionality, collaboration, and the creation of safe spaces in anthropology and museums. We additionally talk about stereotyping and appropriation, including totems and two-spirit identities. Finally we take on how you experience identity differently in different settings and the balance between cultural relativism and pushing for culture change. On today’s podcast we have Aaron Brien (Apsáalooke), a member of the Night Hawk Dance Society and faculty in Salish Kootenai College’s Tribal Historic Preservation and Native American Studies programs. We talk about the blending of ethnography and archaeology within indigenous archaeology, as well as the identity challenges that many young Native Americans face and how indigenous archaeology can be one part of a holistic picture that can give young people a sense of who they are and hope for the future. He shares his experience working with National Geographic as one example of how photography and archaeology can reinstill that sense of identity. “The application of oral histories to archaeology is at the forefront of the research, at no point is the narrative of tribal people secondary. This methodology is the foundation of our work. No longer should Indian people be delegated to the appendices. No longer are we ‘supplemental’ humans”. On today’s podcast we are hugely honored to have three special guests who spoke with Jessica about the Greater Chaco Landscape during their advocacy trip to Washington D.C. The first segment features All Pueblo Council of Governors (APCG) Chairman Edward Paul Torres and former Governor of the Pueblo of Tesuque and co-chair of the APCG’s Natural Resources Committee, Mark Mitchell. In the second segment we have Keegan King, an advocate for the Greater Chaco Landscape from the Pueblo of Acoma. They speak about what Chaco means to them as individuals and to their Pueblos, how they would like to see the area managed, their local and national advocacy efforts, collaborating with the Navajo Nation on these efforts, and appropriate behavior at places like Chaco Canyon. Finally we talk about, what they would like to see in tribal consultation in general and specifically how you can support their efforts to protect the Greater Chaco Landscape. On today’s podcast we have Ashleigh Thompson (Miskwaagamiiwi-zaaga’igan- Red Lake Anishinaabe Nation), a fourth year PhD student at Jessica’s alma mater, the University of Arizona. She talks about how she came to anthropology and the importance of representation. We talk about food sovereignty and not oversimplifying the way we talk about people based on their food practices. We also go into what it’s like to reconnect with your culture and language as an adult and the importance of education both to have a larger impact and what it can teach you about yourself. Finally, we close out by hearing more about Natives Outdoors (a public benefit corporation trying to increase Native American representation in the recreation industry that gives 5% of the profits on their gear back to Native American run non-profits focusing on language & cultural preservation, outdoor recreation, and environmental issues), cultural appropriation, and how we can balance recreation, preservation, and being respectful at culturally important places. On today’s podcast we speak with David L. George-Shongo, Jr., Acting Director of the Seneca-Iroquois National Museum. The Seneca-Iroquois National Museum just celebrated opening a brand new $18M facility, including a new museum/cultural center, archives, and decontamination area. Dave talks about the opening and the long process of developing the museum in the community (without bringing in any outside funding!). He also speaks about NAGPRA from the 1990s until now and working with other tribes to provide curation space if needed as well. He discusses the Men’s Cultural and Ritual Language Program and the importance of using Seneca words in explaining Seneca concepts in addition acting in a culturally appropriate manner while doing anthropology or heritage preservation. Mostly, he wants people to understand that the Seneca are people too and not only that they are still here even if they use modern tools, but that they will be here as Seneca into the future. 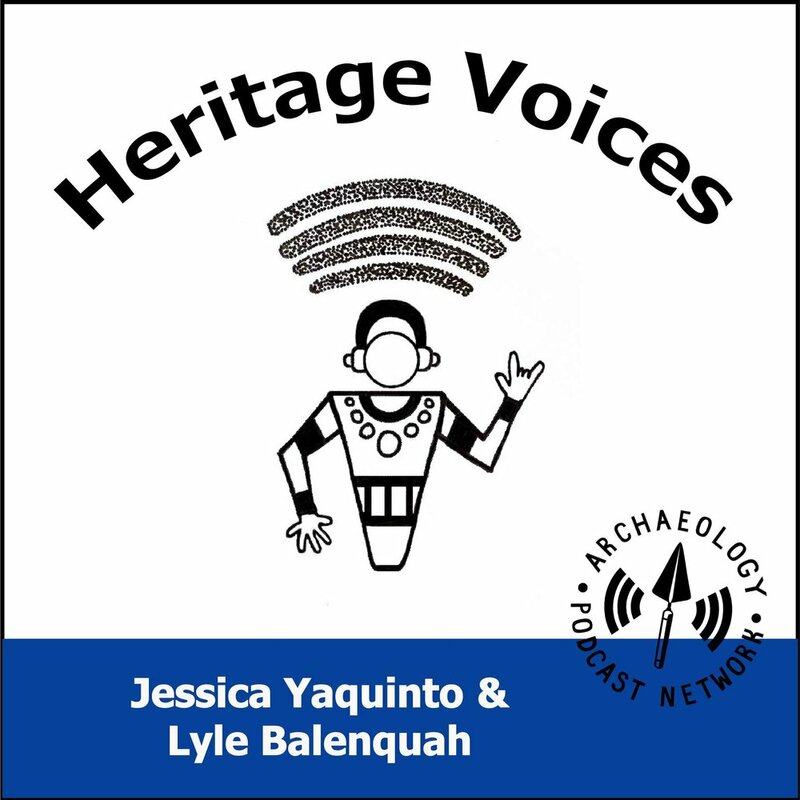 Search the Heritage Voices Podcast here.